As you can imagine, there’s not many good free resume templates around, however, we managed to find a bunch of quality designs, each of which offers something a little different. So whether you’re in a studio or working from home, all of these templates are fully customisable to help explain your set up and sell your skills. And they’re all compatible with the most common creative softwares, including Adobe Photoshop and Illustrator, so you can tweak to your heart’s desire. This free resume template pack also includes portfolio page, cover letter and a two-sided business card. Catch employers’ eyes with a smile! Want to get all your relevant information across in an eye-friendly, graphical way? Why, you’ll be wanting some kind of infographic, then! And this stylish template by Federica Procaccino delivers just that, enabling you to get your message across on a single page without overwhelming everyone with text. 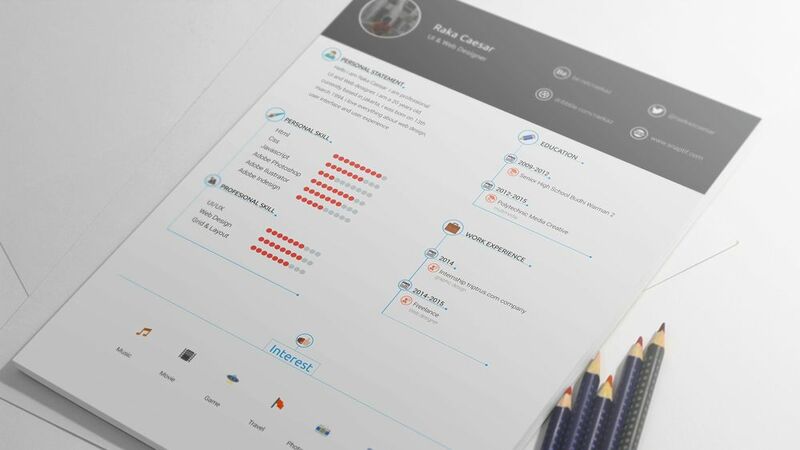 This is a splendidly vintage-looking resume template in deliciously earthy tones, and it comes as an .AI file so that you can adjust it to your heart’s content. Be aware, though, that the fonts aren’t included, so you’ll either have to hunt them down yourself (they’re all free fonts, luckily) or substitute your own.